Peppa Pig is undoubtedly one of the pre-school favourites. 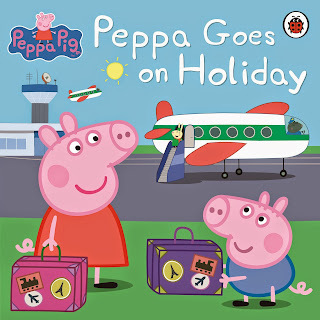 In 'Peppa Goes on Holiday' her whole family are going to Italy! As a reader, you get to experience a lot of what happens in Italy like, driving on the other side of the road, policemen on Vespas, seeing little villages and eating pizza! Lots of little jokes in there for the parents and a reoccurring theme of a lost teddy which I'm sure every parent can relate to. What's also good, is this book is really cheap and has a lot of re-readability. The pictures are vivid and has an array of animals to point to and learn their names. 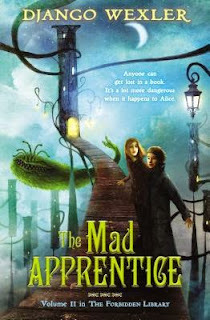 The Mad Apprentice by Django Wexler is the sequel to The Forbidden Library, a very good Adolescent/Young Adult fantasy book. The story of Alice and how she is sucked into a world where Readers (magicians) bind creatures to their being by confronting and conquering creatures from within Prison Books. In The Mad Apprentice, Alice is instructed to go to Stronghold of Esau, a Reader of renown. Esau has been murdered by his apprentice and thus Alice, along with other apprentices, will go and bring back this apprentice to justice. Most stronghold's defences dwindle when its Master dies, however, this is not the case and Alice and her cohort are in far more danger than they realise. As an adult reading this book, I do find it lacking in areas, however, one thing experience has taught me is this, children have way less expectations from a book. How much description is there? The Mad Apprentice can definitely tick off the first two. For the third, I think it has too much description, too flowery and unnecessary. This can turn off most young readers. From my "child's perspective", I think the beginning is really slow but builds up around the middle of the book. The death of characters help to spice things up and the array of powers make it exciting. The action is pretty much non-stop once the danger begins and this makes it a page turner. With all that said, I do feel that The Mad Apprentice is a plot device that had to happen in order to facilitate the third book. There is a bit too much describing at the beginning, but if your young reader can get through that, they will thoroughly enjoy this book.